I have just come back from walking my 3 labradors across Dartmoor, ending with a view of the Merrivale Stones and Merrivale Stone Circles. I have created 3 movies. One is just a highlight of the slow motion footage of my 3 labradors shot at 240fps, the other movies are both created using iMovie. One is using the Trailers option and the other is a normal movie I created from scratch. Let me know in which order you prefer the different videos. 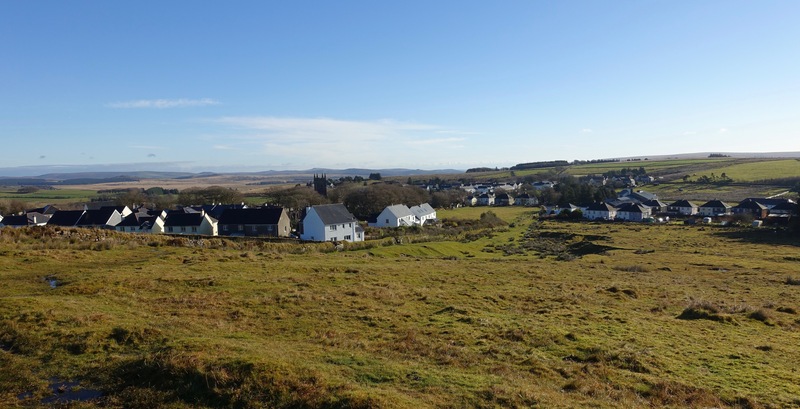 On Saturday, I walked from Princetown to the Forest Inn at Hexworthy on Dartmoor. The route is 5 miles easy way across Dartmoor National Park. The above shot is one of the views you will see en route. All the photos were snapped using my iPhone 7 Plus. After about 40 minutes, this is the view from behind of the North Hessary Mast at Princetown in the distance. The path starts off in great condition. To start the route from Princetown, walk down Tor Royal Lane, all the way to the end. After a mile, you will get to Tor Royal Farm. Walk down the road, with the farm on your right. Just continue following the path/road. Of course, like all good things, the condition of the path deteriorates and becomes a bit boggy. So good walking boots are a must. In fact, along one section of the route, the path is lined with large chunks of rocks/granite, so be careful. Also the path occasionally fades out but it is still visible for the entire route. My 3 labradors were having a blast along the route too. After about 3.2 miles the path narrows and you will pass the Blowing House ruins. This section was particularly muddy in places and had a lot of muddy surface water. You boots will get wet and muddy at this point no matter how hard you try to avoid everything. Above is Blowing House itself, well the ruins. Fortunately, Fairy Bridge has been replaced with a new structure, otherwise you would have had to cross the river getting extremely soaked! The goal was to reach the Forest Inn at Hexworthy. The last part of the walk is a little tricky in terms of directions, but you eventually reach the end of the path, and come to a country lane. Cross straight over and walk down the road to the farm house entrance. As you get near the entrance, you will see a downhill path, take this, walk down until it becomes road, turn left, walk 15 yard, turn right downhill in-between the farm buildings. This will make sense when you are there. At the end of the downhill part, you reach another road. Turn right and walk 50 yards uphill to the Forest Inn. Job done. Enjoy the food and drink at the Forest Inn (make sure you book as its always busy), and then prepare yourself for the return journey. All photos shot on my red iPhone 7 Plus. It is hard to believe that yesterday evening and into the early hours the UK got hit by Storm Angus. In the South West of England, the storm hit hard causing flooding, gale force winds with lots of trees falling and more. Up here on the Moors of Dartmoor, I was expecting the storm to be significantly worse due to the rural exposed environment. It wasn’t pleasant but we didn’t get the full force luckily. Anyway, this morning I took my 3 Labradors out for their walk on Dartmoor. It was water logged, soft sinking mud in places but otherwise the sun was out looking glorious. The weather is due to turn nasty again, as I write this the sun has now vanished leaving an overcast sky. I created a short video using my iPhone 7 Plus and Sony RX100. The video is from the iPhone. 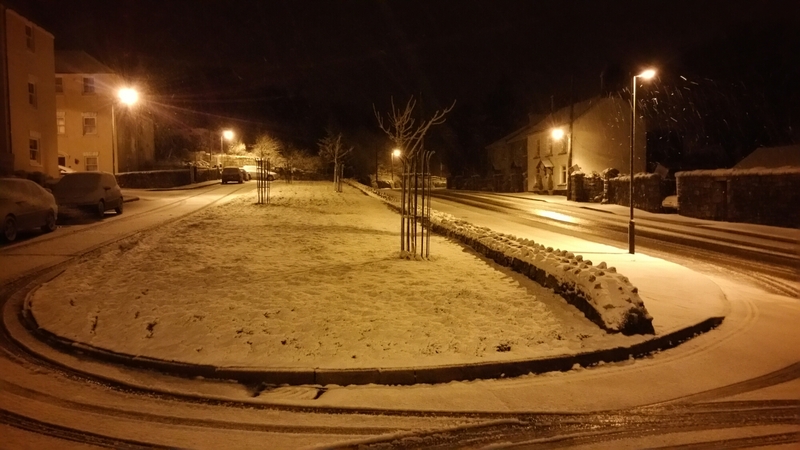 The snow arrived last night and through the early hours of the morning up in Princetown, Dartmoor. So at the crack of dawn I went out and took a number of photos. I decided to use the new Asus Zenfone Zoom smartphone which has 3 x optical zoom, an Apple iPhone 6S Plus and a Sony RX100. Before sunrise, the worst shots came from the RX100 as the white balance was wrong. The iPhone 6S Plus did a much better job and the Zenfone Zoom just took first place, albeit a very close first place. Then sunrise started and once again I used all 3 devices. This time the Sony RX100 totally smashed out a corker of a shot. Both the iPhone 6S Plus and Asus Zenfone Zoom took superb photos but once again I preferred the post processed shots from the Zenfone Zoom. Anyway, below are the shots from the Zenfone Zoom at sunrise, with a quick edit in snapseed. The photos may take a moment to load. Click on each photo to see the full size version. Yesterday early morning, I took my dogs out up to Cox Tor on Dartmoor and took many photos using the LG G4. Below are my favourite shots. We were forecast 10 inches of snow. Not quite that but it is currently a blizzard outside. The above shot was taken 30 minutes ago approximately. The Samsung Note 4 switched to night mode to take this shot. Otherwise all auto settings. And here is a scenic shot of the town. Princetown, a grim little town some 1,400 ft above sea level, with an abominable climate of fog, snow, wind [and rain]… exposed to the bitter N and E winds, the least suitable place that could ever have been chosen for a town. Quote by WG Hoskins 1954. 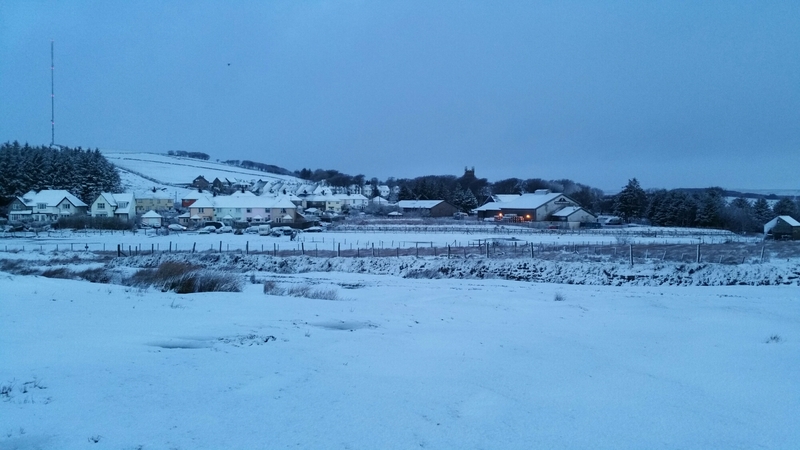 To read the daily and evening weather updates for Princetown, Dartmoor, further information on Dartmoor, Princetown, the Legendary Beast of Dartmoor and a link to the incredible BBC Video Archive footage covering the Winter of 1963, click. here to jump to Gavin’s Gadgets Weather info page. The archive video footage shows Dartmoor and Exmoor plus other parts of Devon that got cut off in the big freeze of Winter 1963-64. If you have any doubt that there is a storm incoming look above at the weather chart. The pressure just keeps dropping. Currently there are strong gusts, heavy rain and fog.